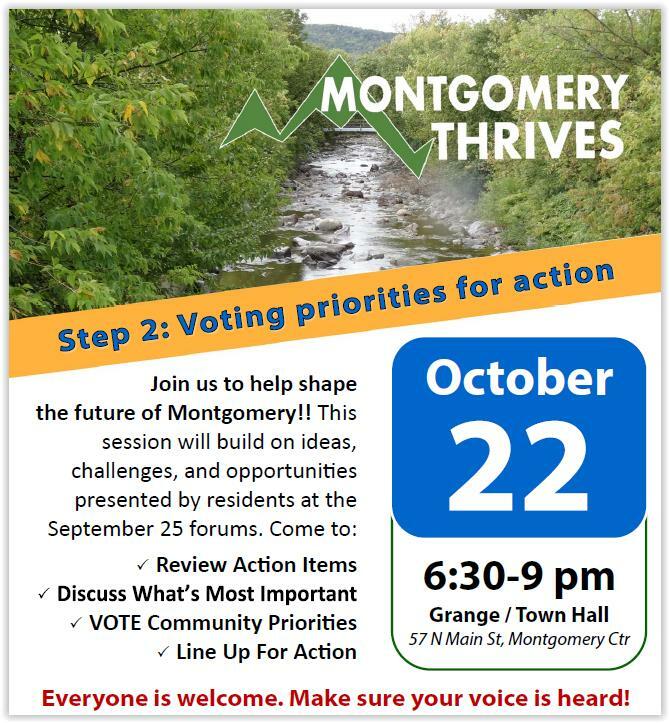 On Monday, October 22nd, all members of the Montgomery Community are invited to participate in the second phase of the Montgomery Thrives Community Visit. The session will be held from 6:30-9pm at the Grange / Town Hall in Montgomery Center. SWANTON - Vermont Council on Rural Development will launch the Climate Economy Model Communities Program in Swanton with a Kick-Off on October 10. The program, named the SWANTON ENERGY INITIATIVE by a local planning team, will begin with a series of forums and a free community dinner during the afternoon and evening. The Vermont Natural Resources Council (VNRC) is pleased to present this year’s Arthur Gibb Award for Individual Leadership to Paul Costello, Executive Director of the Vermont Council on Rural Development (VCRD). The award will be presented at VNRC’s annual meeting on Thursday, September 20 at American Flatbread, Lareau Farm Inn in Waitsfield. Though it’s been months since the dramatic spring kickoff of the Randolph Region Re-energized project, known as R3, lots of work is still underway. Fifteen members of the Task Force on Economic Development and Downtown met Monday night at Gifford Medical Center’s conference center to discuss their group’s progress since they formed in June.